HABIT: Vertical leaves, spreads by underground rhizomes, available in any color. Beardless and Bearded are the major groups. CULTURE: Iris culture varies greatly – some of the Beardless Irises (Japanese and Louisiana) can grow in or on the edge of water. Others like Siberian need to be continually moist. Others like Tall Bearded need good drainage. When clumps get too thick, dig with turning fork, cut leaves to 6”-8” and replant, placing Bearded Iris rhizomes even with the soil surface and Beardless 1”-2” below the surface. 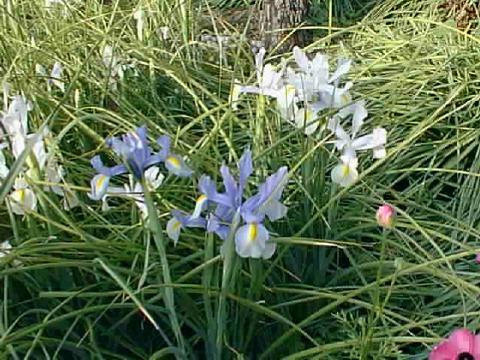 Dutch iris grow from bulbs and go compltely dormant after blooming. As the foliage begins to turn yellow, it can be removed. USES: Spring flowers, perennial gardens, cut flowers. 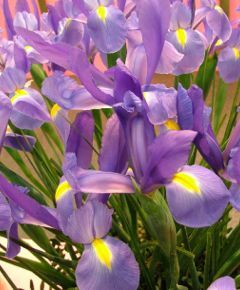 NOTES: Iris means rainbow in Greek so I like to plant mixed color masses. Louisianas and Spurias grow the tallest. 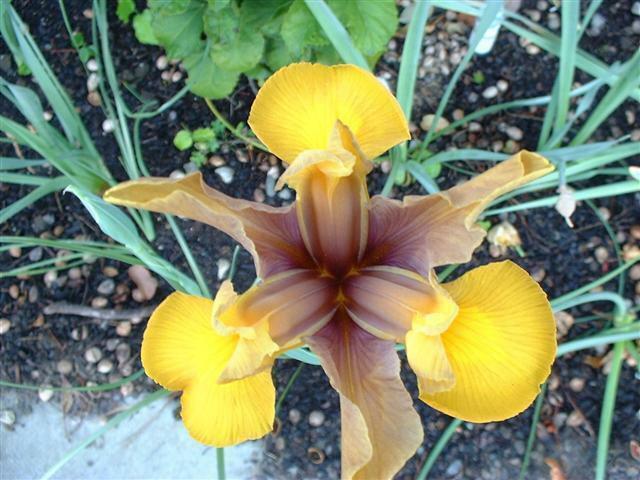 Intermediates are a good choice for a landscape Iris. Check bibliography for additional information.